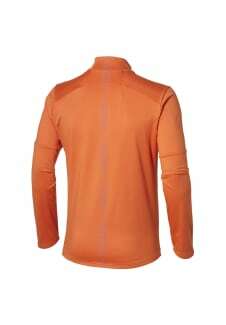 This snug men’s running top is great to wear for your warm-ups in, and your whole session when the weather gets cold. The soft brushed-knit fabric is breathable and insulated, keeping your temperature regulated during frosty winter mornings. 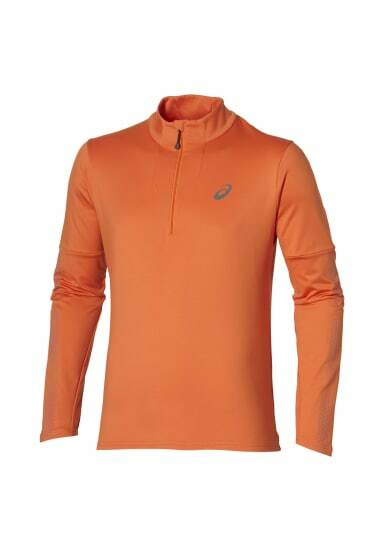 It has excellent moisture management, so you won’t feel sticky and uncomfortable even after a long run. Give yourself extra ventilation – or extra protection from the cold – with a half-zip at the front.